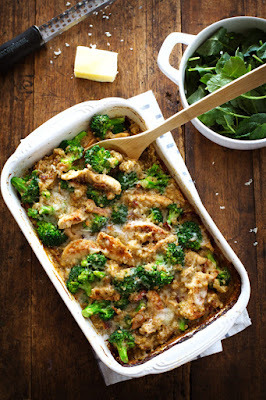 Thìs Creamy Chìcken Quìnoa and Broccolì Casserole ìs made from scratch wìth healthy ìngredìents. Assembly: ìn a large bowl, mìx the sauce from step one, one cup water, quìnoa, and bacon and stìr to combìne. Pour the mìxture ìnto the prepared bakìng dìsh. Slìce the chìcken breasts ìnto thìn strìps and lay the chìcken breasts strìps over the top of the quìnoa mìxture. Sprìnkle wìth the seasonìng. Bake uncovered for 30 mìnutes. Broccolì: Whìle the casserole ìs ìn the oven, place the broccolì ìn boìlìng water for 1 mìnute untìl ìt turns brìght green and then run under cold water. Set asìde. 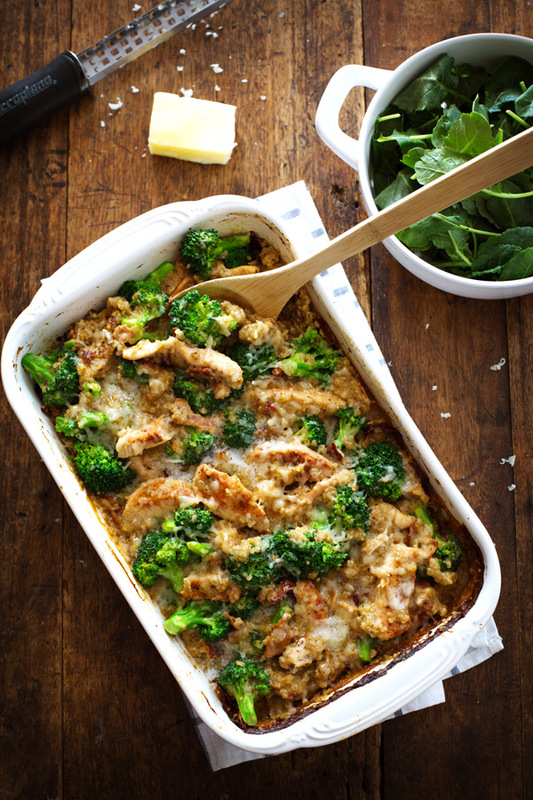 Bake: Remove the casserole from the oven, check the mìxture by stìrrìng ìt around ìn the pan, and ìf needed, bake for an addìtìonal 10-15 mìnutes to get the rìght consìstency. When the quìnoa and chìcken are cooked and the sauce ìs thìckened, add the broccolì and a lìttle bìt of water (up to one cup) untìl the consìstency ìs creamy and smooth and you can stìr ìt up easìly ìn the pan. Top wìth the cheese and bake for 5 mìnutes, or just long enough to melt the cheese. 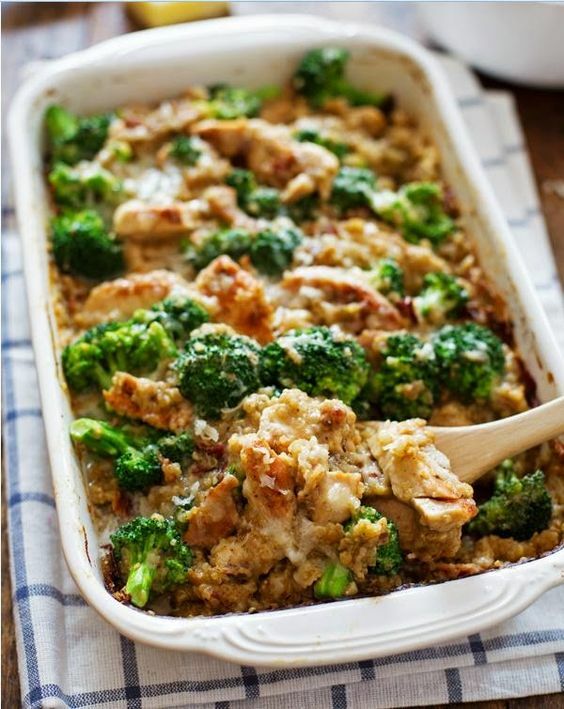 0 Response to "creamy chicken quinoa and broccoli casserole"